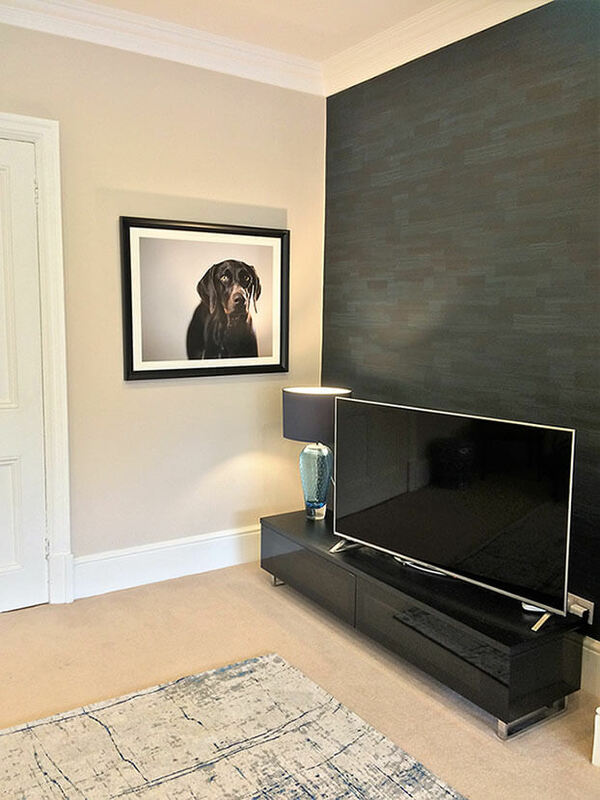 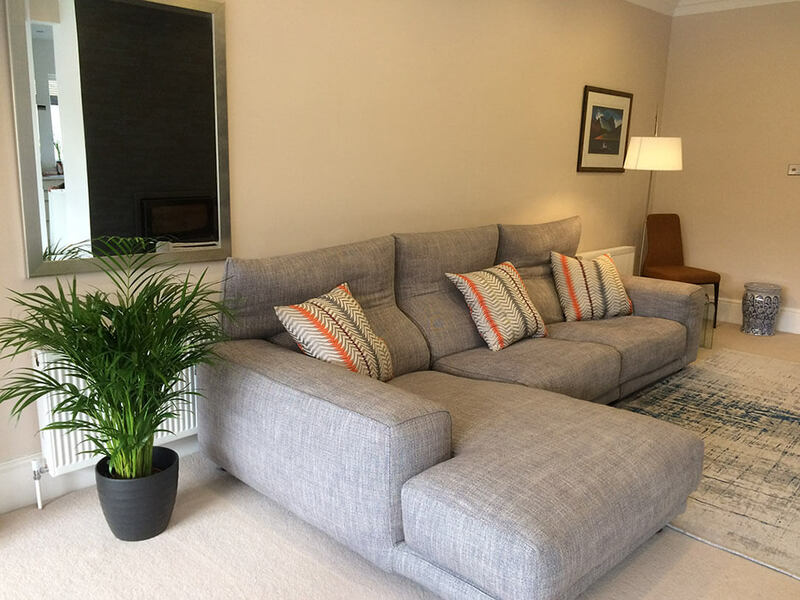 The client extended and remodelled this area around 2 years ago but was not able to commit to furnishing the room due to having a new dog. 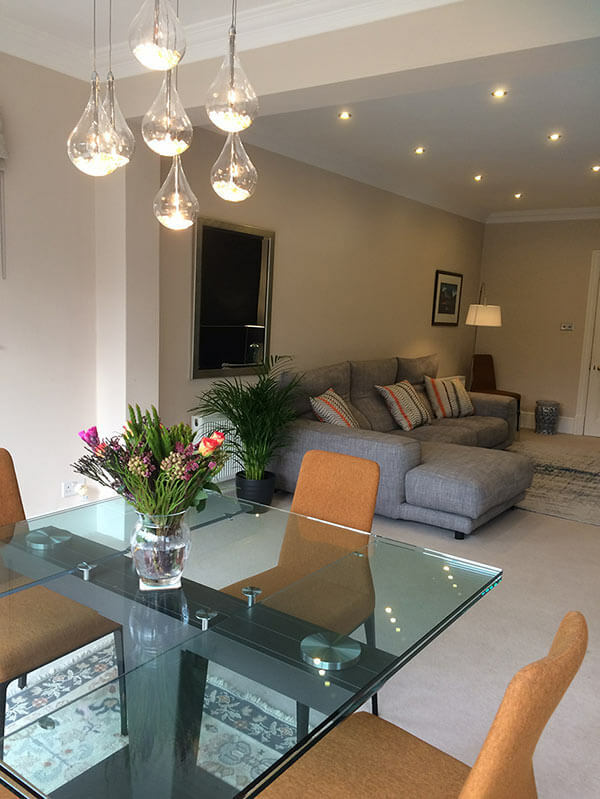 The room was already decorated in a sand colour, complemented by a teal wallpaper feature wall both of which the clients wanted to keep as part of the design. 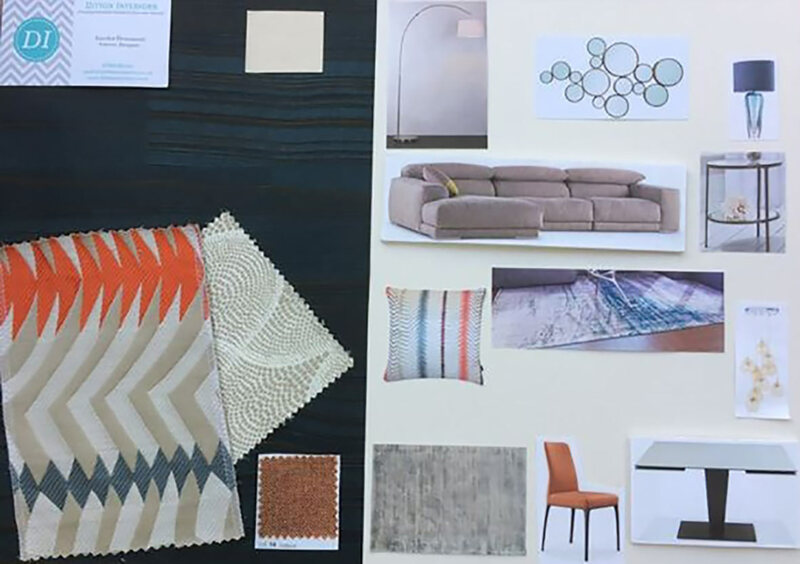 The brief was to provide furniture ideas and options for three main pieces: Dining table, sofa and lighting. 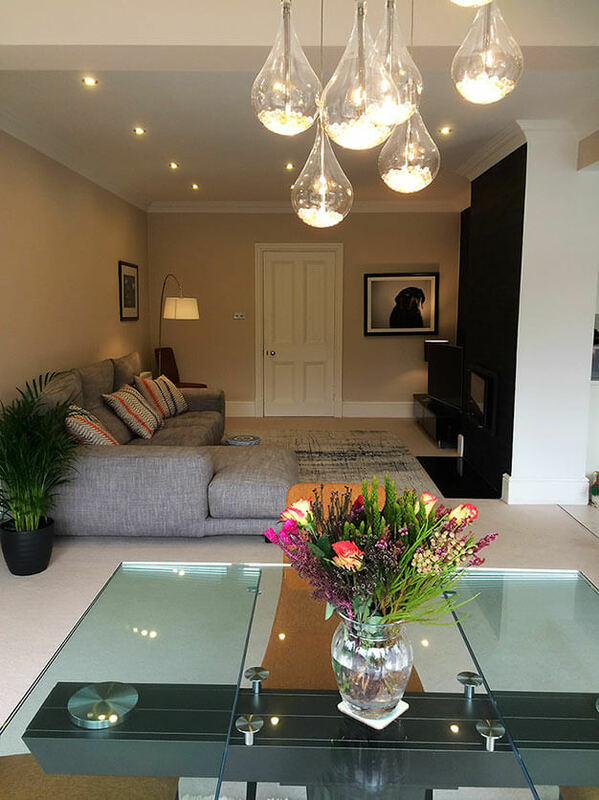 The client wanted their recently extended Living/Dining room designed with a relaxing contemporary feel.